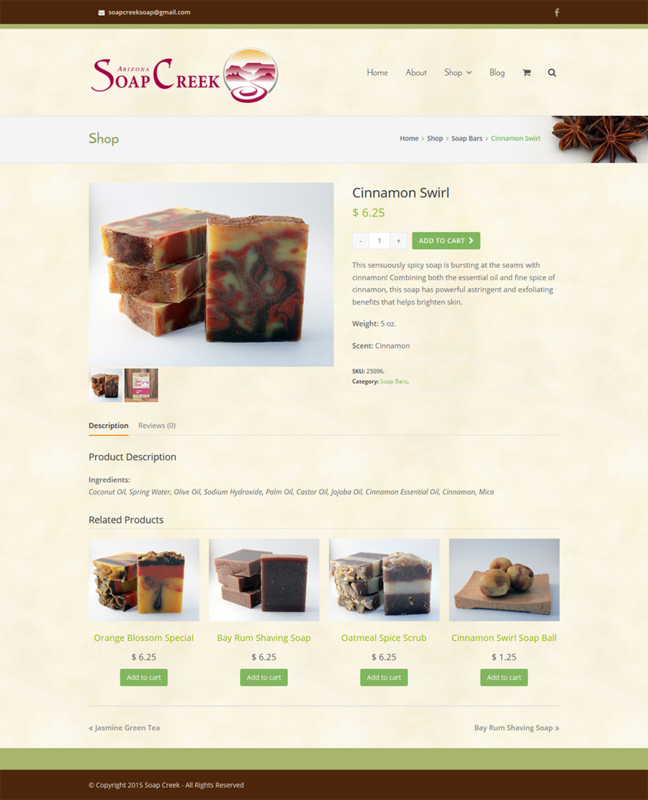 My first true e-commerce website is up and running at arizonasoapcreek.com. The site utilizes WooCommerce and lots of customization. A USPS shipping calculator has been implemented and is a great tool for figuring shipping costs for various products. Other features include a product quick view, custom related products, news blog, and customer reviews.